Certainly, you have heard the phrase Hug a Tree before, but have you ever taken a moment out of your day to actually do this? Although some trees, like people, are more huggable than others, they all need a hug now and again. The Earth is our mother. Mother Nature has much to teach us. It is from her womb that we are nurtured and healed. 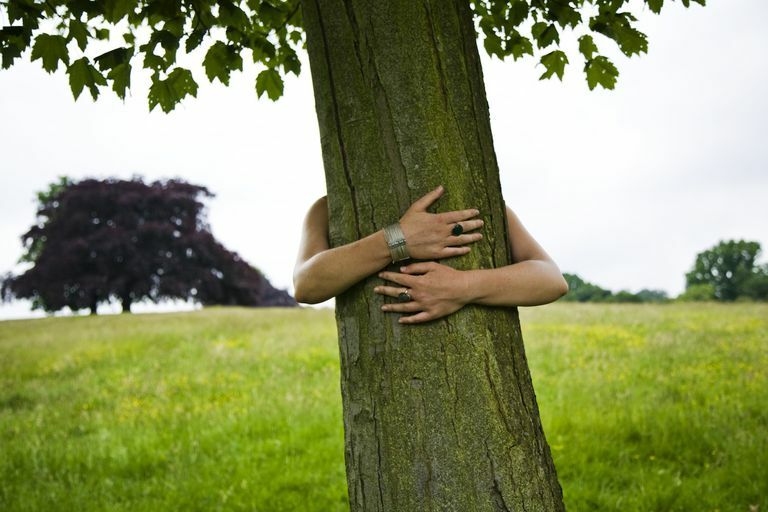 Hugging a tree is perhaps the easiest way to embrace mother nature. Absorb their life's energies as you look upwards to the sprawling branches overhead. Be sure to return each season to visit your tree. And don't be afraid to talk to it as trees are good listeners. Take a child along with you on your next "hugging nature adventure." Brown-bag it to the neighborhood park over lunch. Tuck in a packet of springtime flower seeds inside the envelopes you mail out your bill payments in during the month of April - won't that surprise your bill collectors!?! Take a detour on your way to work to the kiddie park, get out of your parked car and run to the swing sets. Swing as high as you can. Walk barefoot through a muddy creek. Don't forget to squish your toes in the mud. Lay in the grass and look at the clouds imagining what their shapes represent. Take an afternoon nap under a shady tree. Go on an outing in the fall to collect colorful leaves, pinecones, acorns, etc. to make a centerpiece for your table. Catch a toad, whisper your heart's yearnings to it while holding it in your hands. Release it. Go for a walk in the rain (no fair using an umbrella). Collect seashells along the beach. Surprise someone with a May Basket in September.